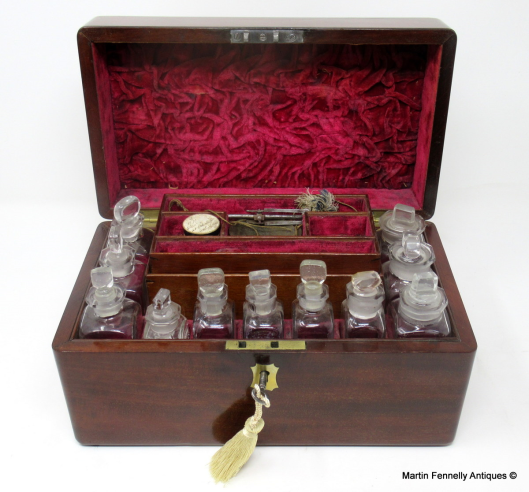 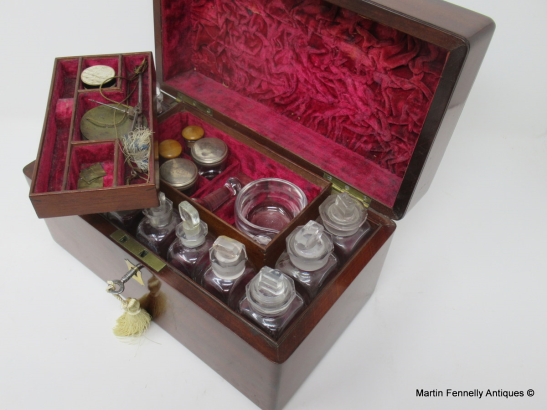 This Apothecary Chest which was used by a travelling Doctor or Apothecary is a very rare item, in superb condition with original working key and contents. 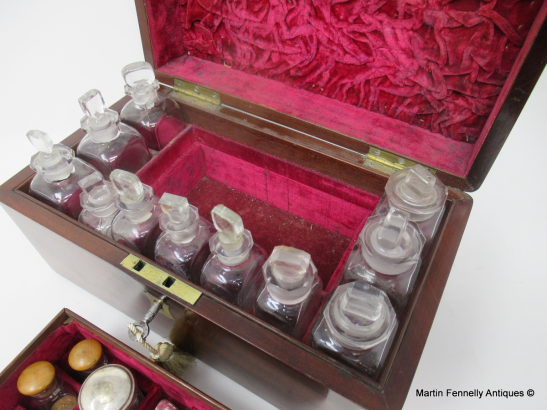 The multi layered interior contains the complete array of original drug decanters, glass pestle and mortar, scales, weights and miniature mix tubes. 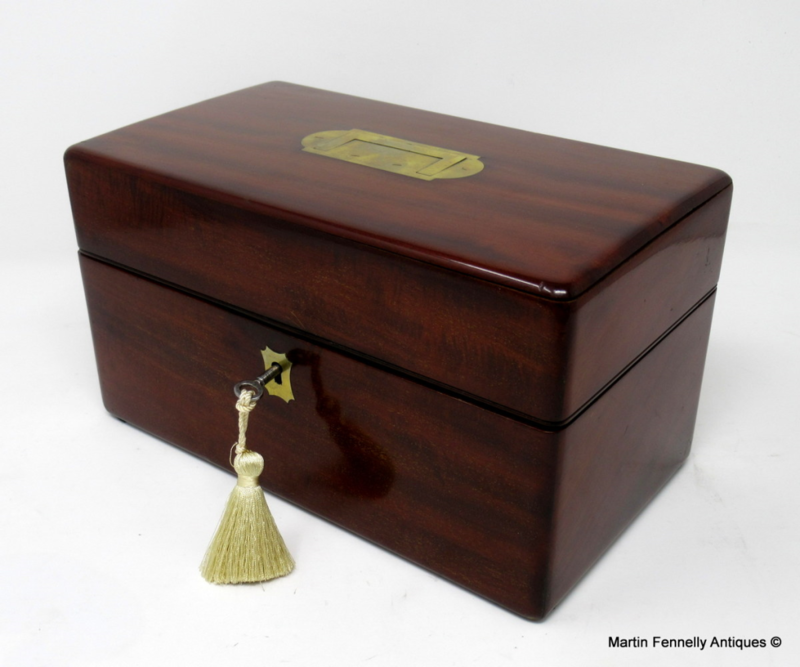 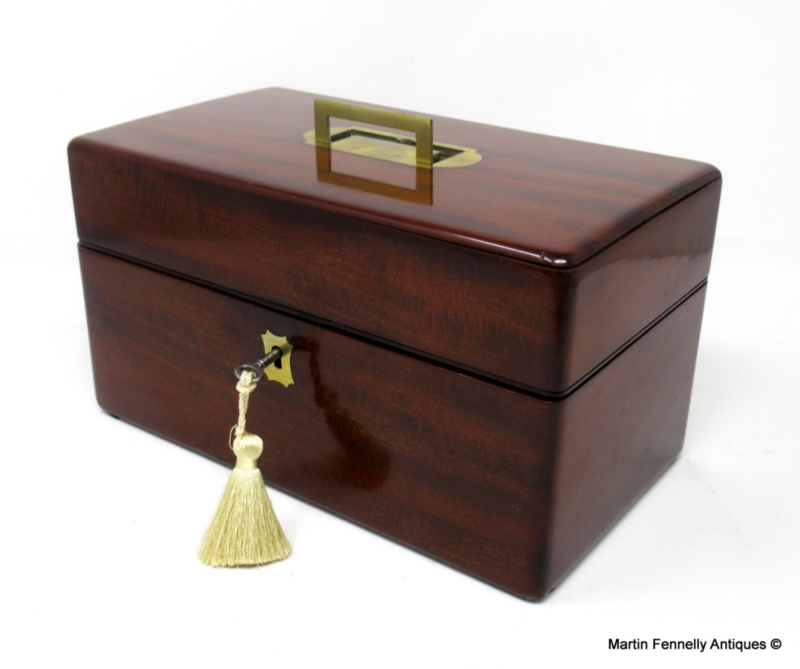 It is also a stunning looking box with a deep rich Mahogany Patina complete with military brass (flat) handle and dates to Circa 1840. 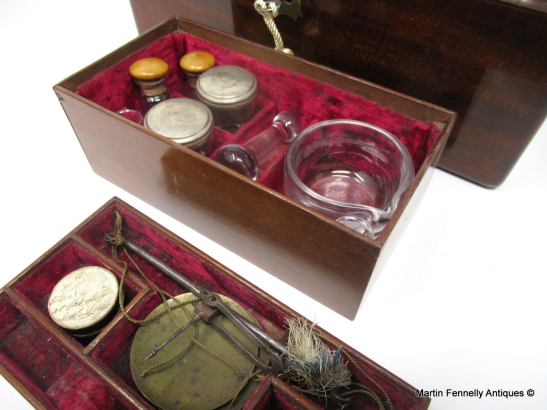 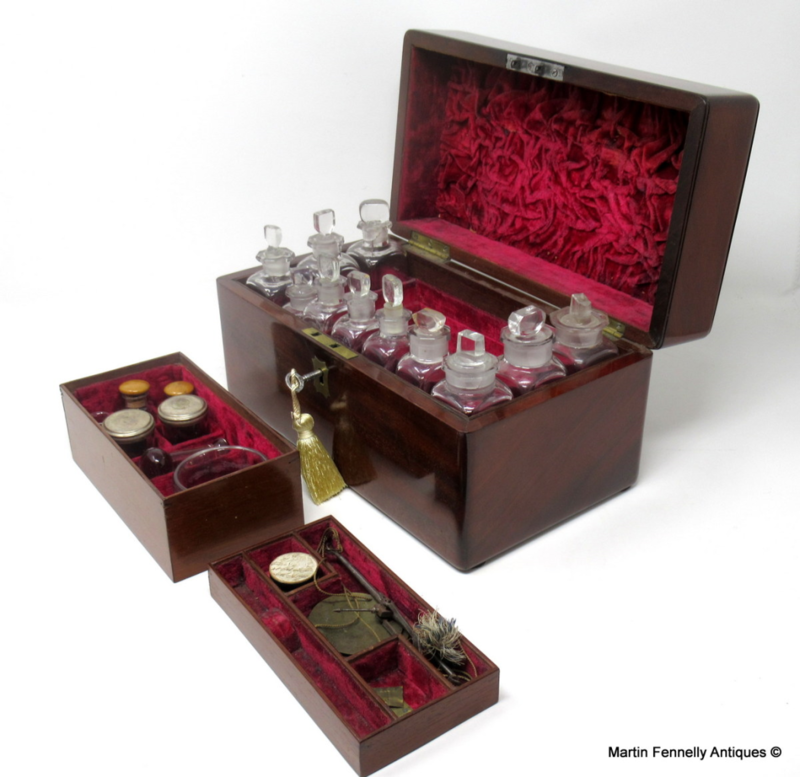 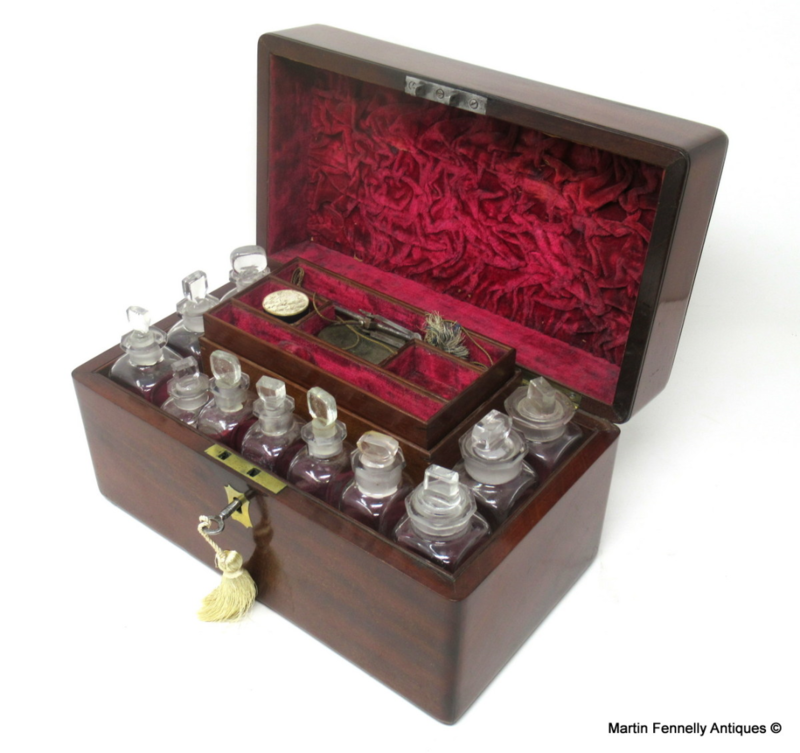 Apothecary Chests are always sought after and travel ones are very rare and very very rare in this condition.